Braille Fail – Wax or Shave? My father was in the hospital for a heart catheter surgery this past week and I was stuck waiting around. As we teachers of the visually impaired do, I wandered the halls reading the braille signs checking for errors. I was not surprised to find some. Here is the first. My father got a nice chuckle out of it when I told him he was in ‘surgery waxing’ and wondered why they shaved him! 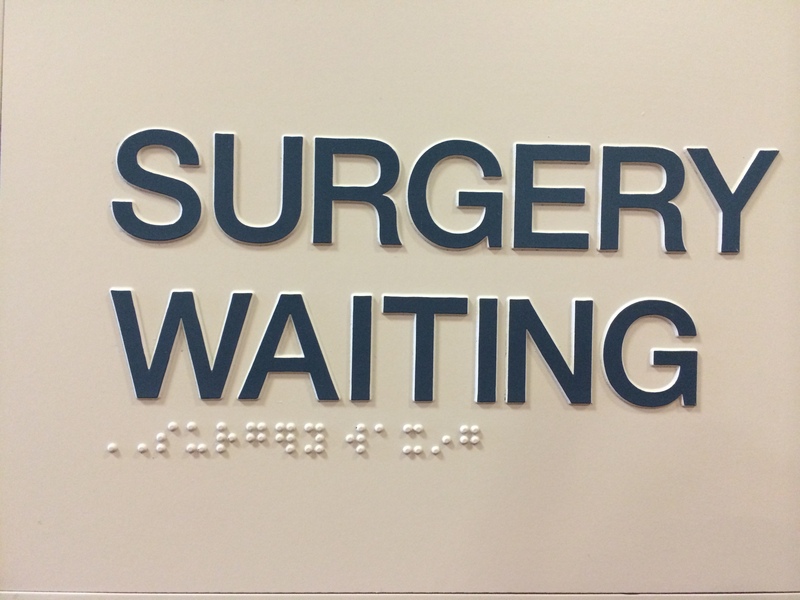 The sad fact is there were two signs with the same print words but different braille (one was correct and even used the ‘ing’ contraction). I wasn’t even going to go into the double capitals sometimes present, sometimes not, on their signs but I did point out the ‘waxing’ one. I’ll post the other one I saw soon.